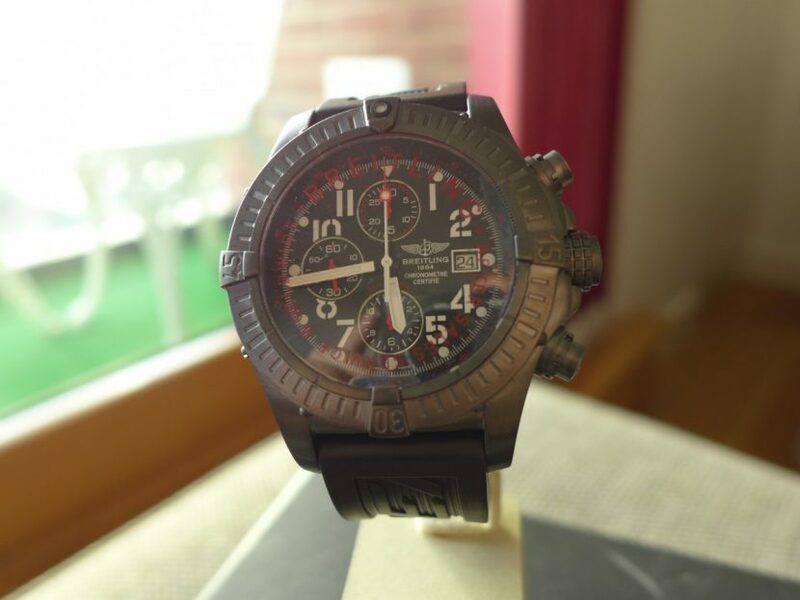 This was a piece I had for short while The Breitling Super Avenger M13370 Black steel Titanium very big watch but also very light in weight. 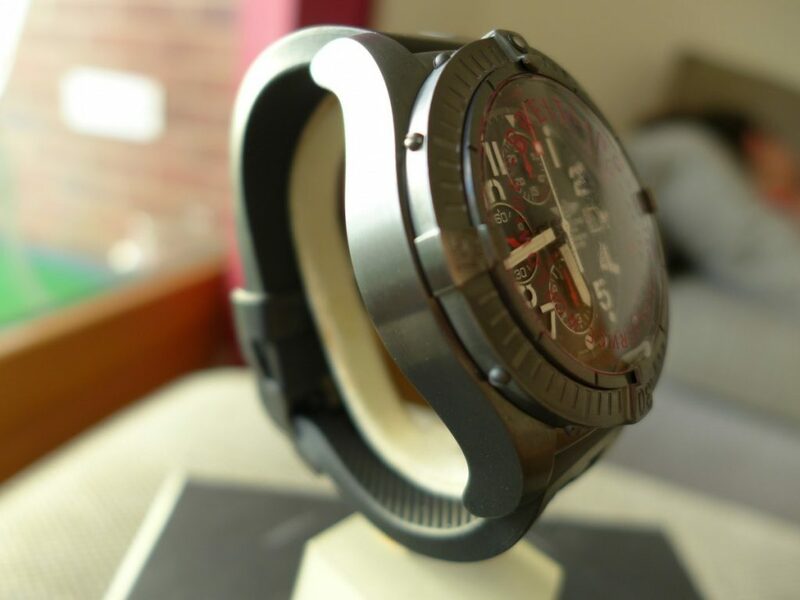 The Super Avenger is a large watch measuring 48.4mm with the crown and comes in plenty of various versions stainless steel is probably the most popular version in my opinion. 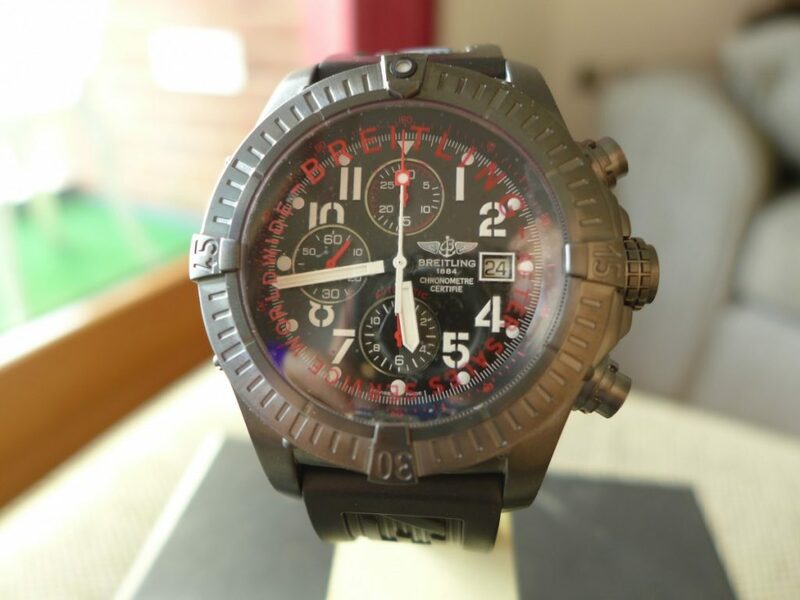 The movement is a Breitling 13 based on a eta valjoux 7750 with a power reserve of 48 hours with chronograph and date function, watch is water resistant to 300M with unidirectional bezel. 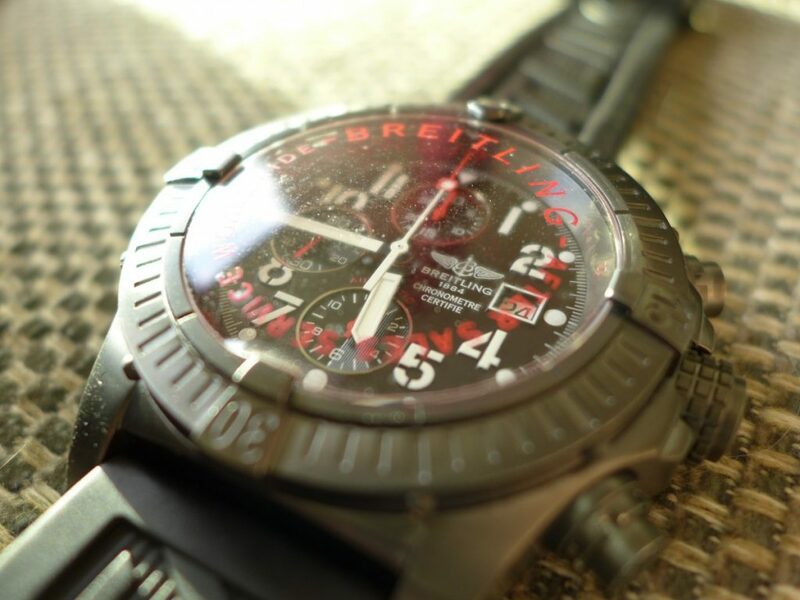 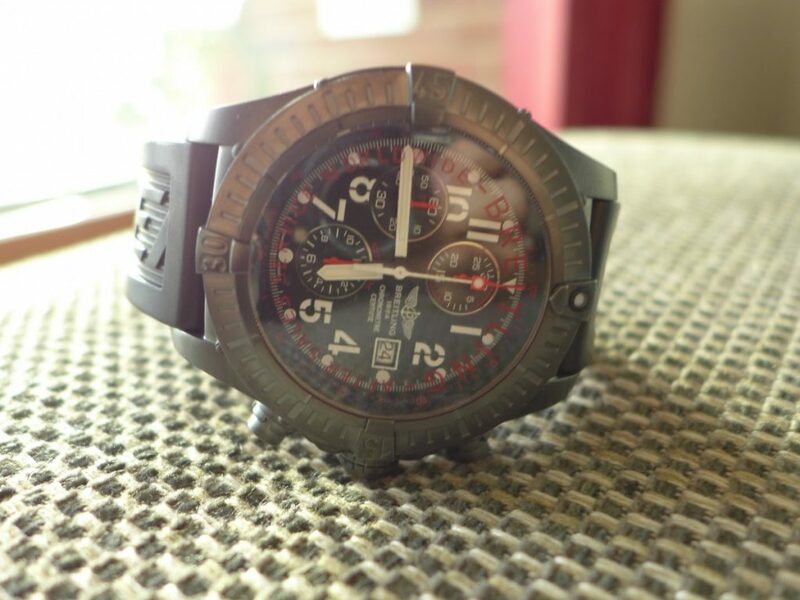 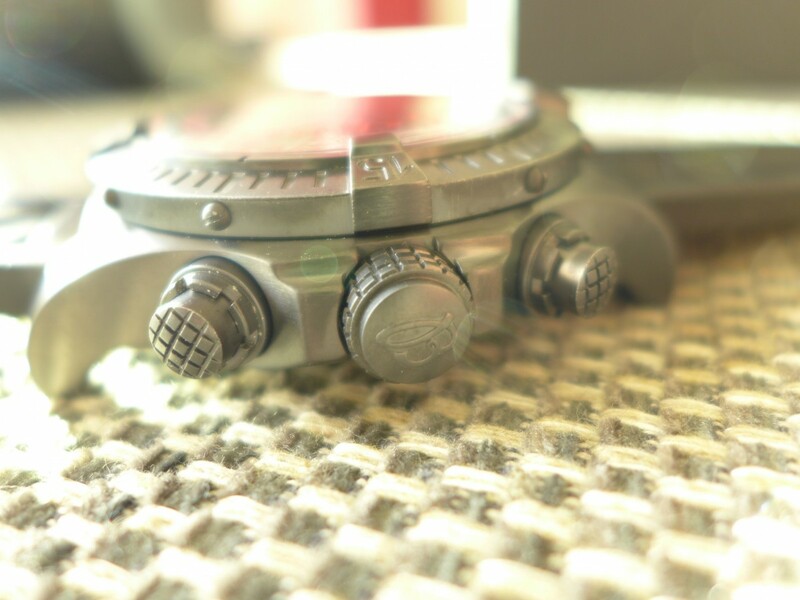 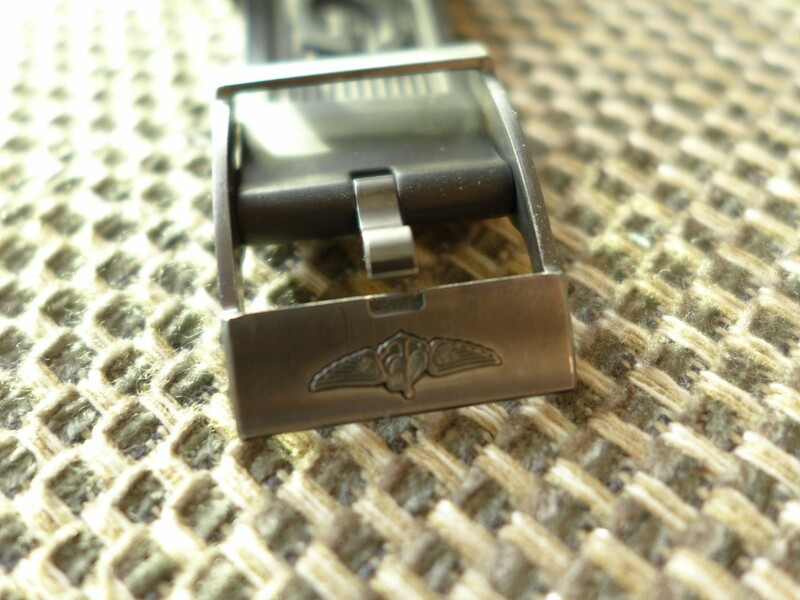 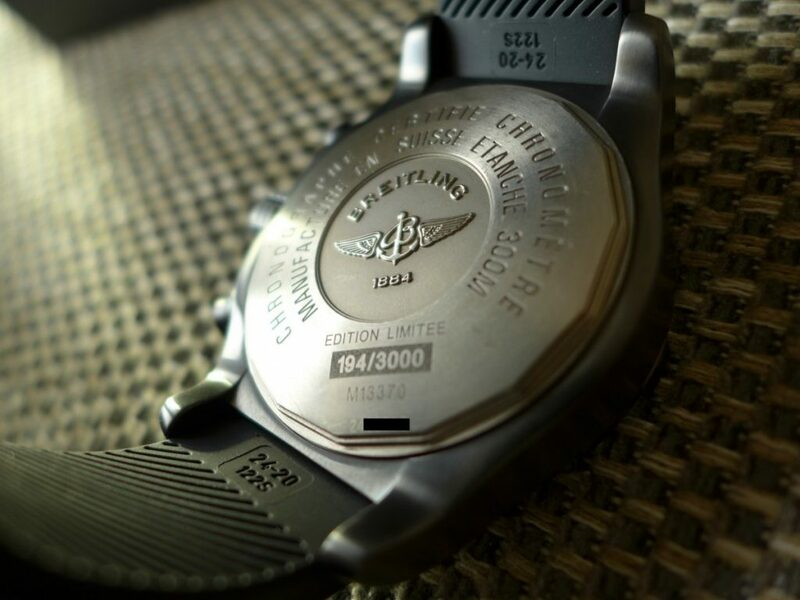 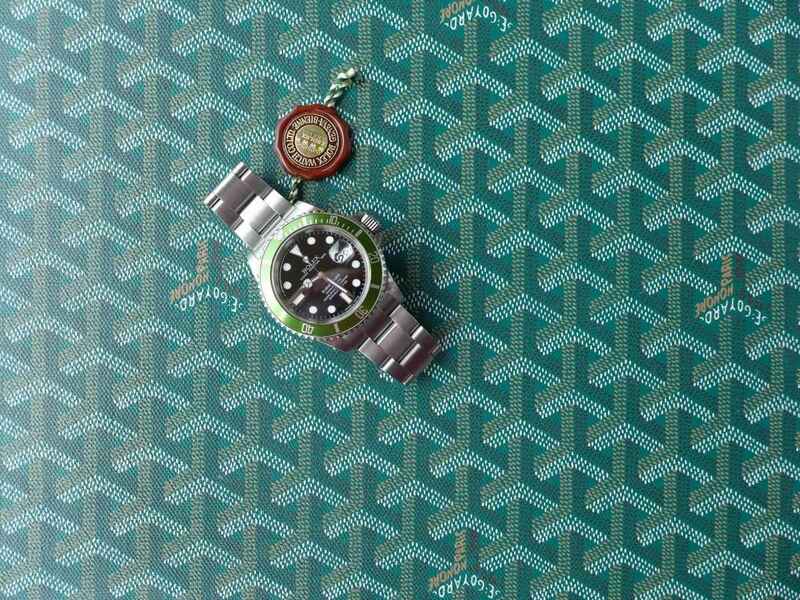 This model is made of titanium and comes on a Breitling rubber strap and is not that noticeable on weight on the wrist as much as the stainless steel versions on a steel bracelet. 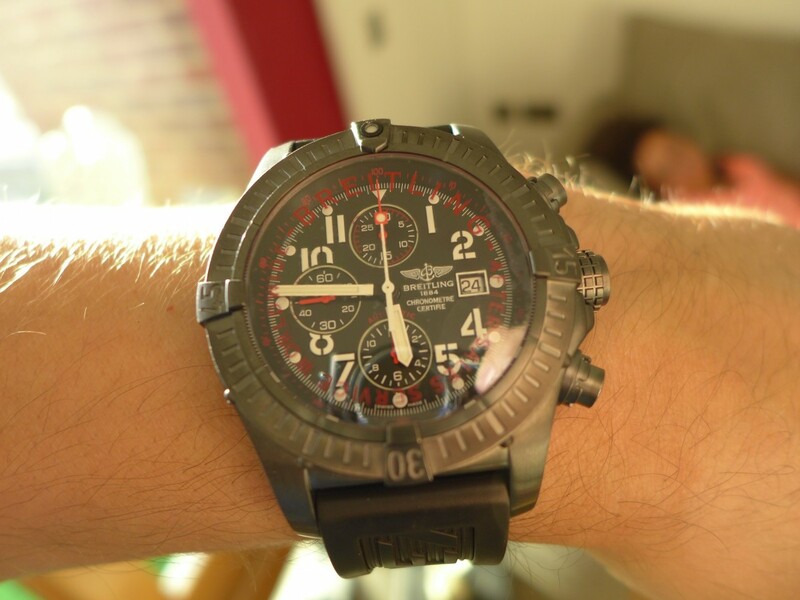 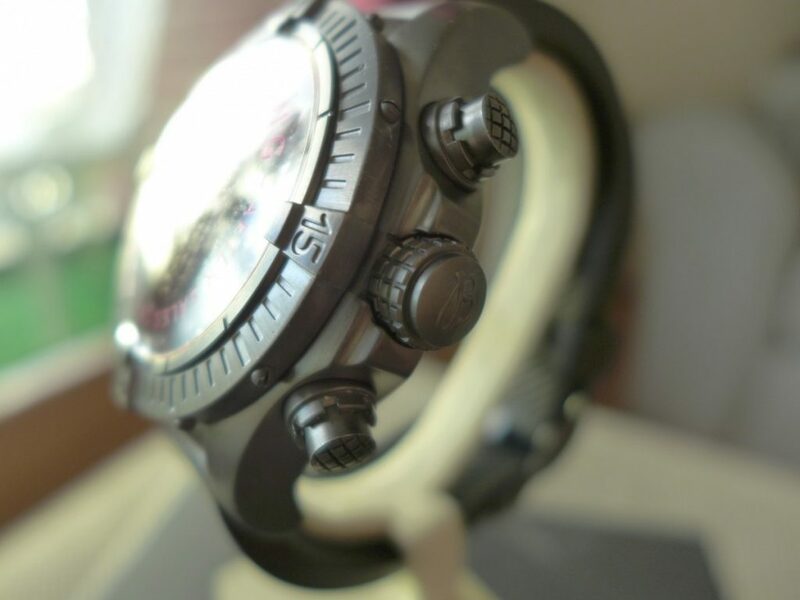 I do love the black steel watches but they do not fare well with minor scuffs and scraps which are not easily polished out, overall a nice watch in black steel it that is the look you require for the money.